Ask a Walmart Expert: What Are The Differences in Regional Coupon Inserts? 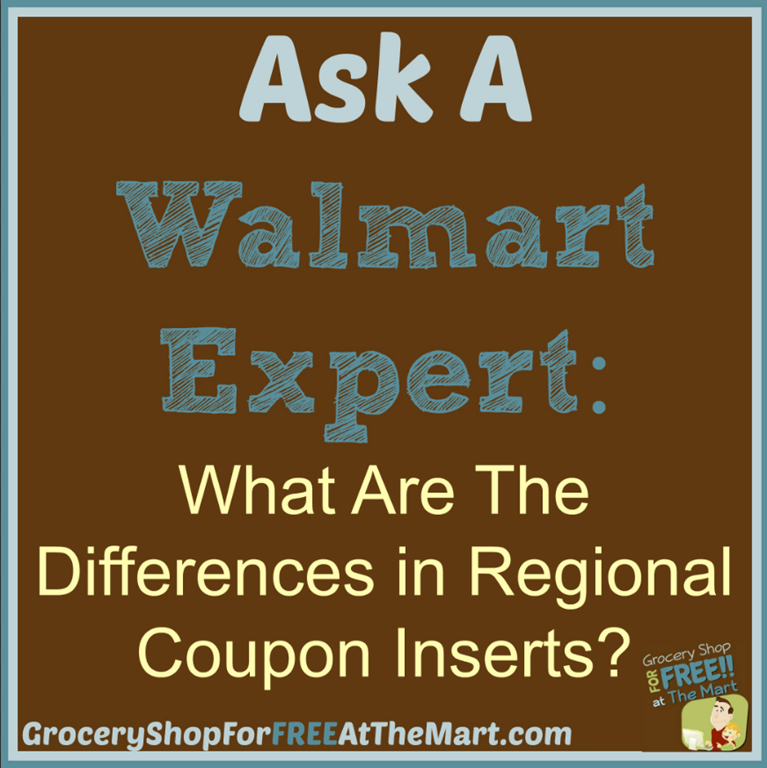 What Are the Differences in Regional Coupon Inserts? It happens all the time and it can be frustrating. Everyone is talking about the great Little Debbie coupon they got that let them stock up on Oatmeal Crème Pies and Nutty Bars and you didn’t get it. How did this happen? It happened because there are some regional differences in coupon inserts as you move from market to market. In fact, I live where I can get papers from 2 different markets (Dallas/Fort Worth) and there are often different coupons just in those papers. Sometimes these differences are minor, like some areas will get a $.50/1 for a product and other areas will get $1.00/2. Sometimes they are major, like several coupons missing or added or coupon amounts being for significantly larger or smaller discounts. As a general rule, the best coupons will be in the biggest papers so you want to buy the paper that has the largest circulation or serves the largest area. There is no real way to know ahead of time EXACTLY what coupons you will get in your area but the good news is that about 90% of the coupons are the same throughout the US. If you are curious to see who got what, my Coupon Database will break down coupons by individual markets. Also, don’t forget that if you want a coupon that didn’t come out in your area, you can always buy it from Klip2Save and have it sent directly to your door.